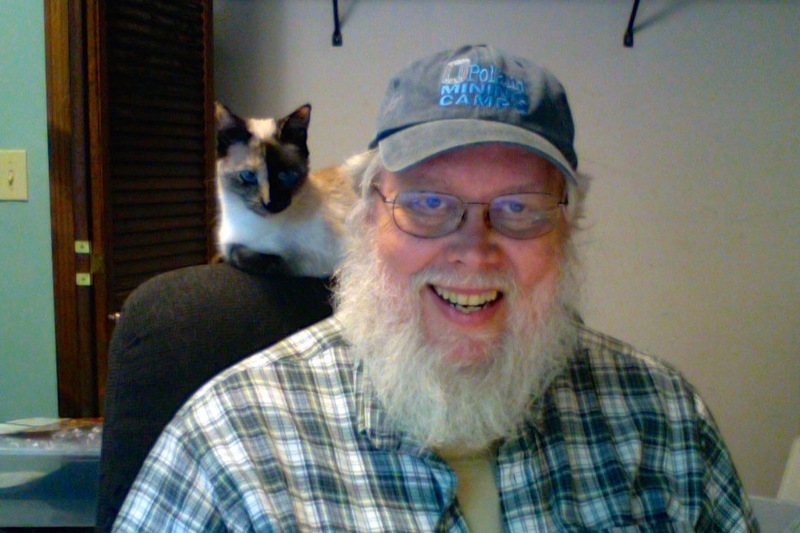 Amanuensis Monday is a selectable Category. It consists of handwritten documents (deed, probate, pension application, naturalization, etc.) that I transcribe. Typically, I post an image of the document and my transcription/extract of the document. I also provide citation information and discuss its importance to my ancestors. I give, devise and bequeath unto my beloved wife, Emily Smillie Bradley, her heirs and assigns forever, all my property, real, personal and mixed, of what nature or kind soever, and wheresoever the same shall be at the time of my death. And I do nominate, constitute and appoint my said wife sole executrix of this my last will and testament. In witness whereof, I William C. Bradley the testator, have to this my will, written on one sheet of paper, set my hand and seal this nineteenth day of July, A.D., one thousand eight hundred and eighty seven. City and County of Philadelphia, ss. Day of September 1901, before me.} C Cameron Bradley, m.d. We learned that William’s wife, Emily, and is two sons, William E., and Dr. Cameron Bradley were living. [ii] Ancestry.com. 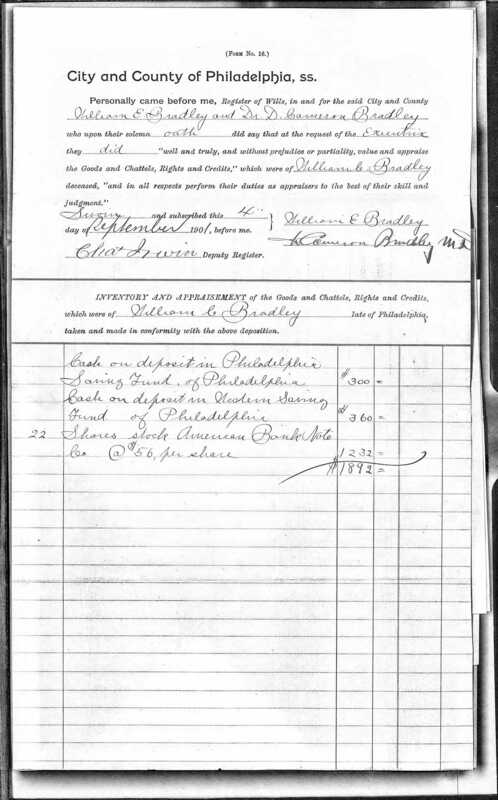 Pennsylvania, Wills and Probate Records, 1683-1993 [database on-line]. Provo, UT, USA: Ancestry.com Operations, Inc., 2015. In the Matter of the Probate of the last Will and Testament of William Cameron Bradley Deceased. 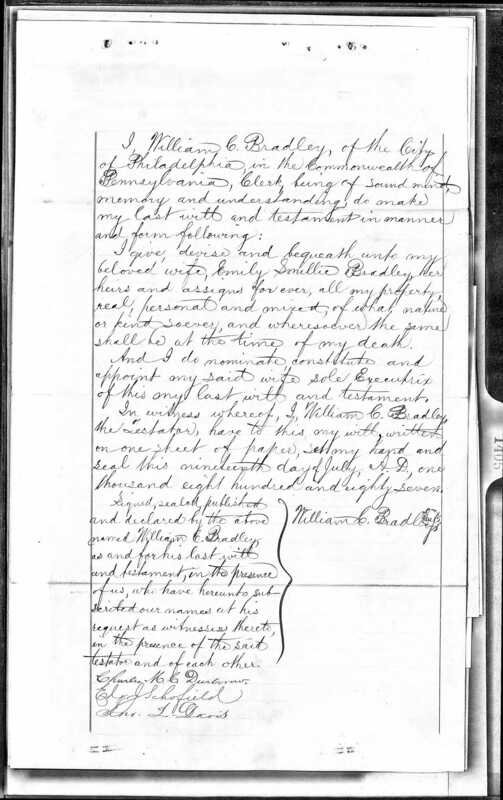 The Petition of Emily S. Bradley respectfully showeth that she is the Executrix named in the last Will and Testament of William Cameron Bradley dated 19th day of July A. D. 1887. 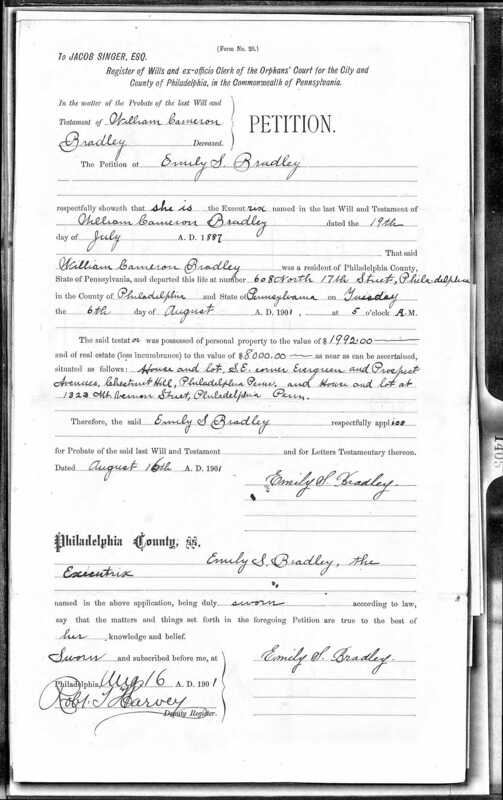 That said William Cameron Bradley was a resident of Philadelphia County, State of Pennsylvania, and departed this life at number 608 North 17th Street, Philadelphia in the County of Philadelphia and the State of Pennsylvania on Tuesday the 6th day of August A. D. 1901 at 5 o’clock A.M. The said testator was possessed of personal property to the value of $1992.00 and of real estate (less incumbrance) to the value of $8000.00 as near as can be ascertained, situated as follows: House and lot, S.E. corner Evergreen and Prospect Avenues, Chestnut Hill, Philadelphia, Penn, and house and lot at 1323 Mt. Vernon Street, Philadelphia, Penn. Therefore, the said Emily S Bradley respectfully applies for Probate of the said last Will and Testament and for Letters Testamentary thereon. Dated August 16th A. D. 1901. This document confirms several other documents, including the date and place of death for William C. Bradley. It also indicates that William owned two properties at the time of his death. The house at 1323 Mt. Vernon Street is no longer in existence. The current building at that address was built in 1965[iii]. The 1900 Census indicated he lived at 608 North Seventeenth. At that time, he lived in an extended family consisting of him, his wife, five children, a sister, a sister-in-law, and a servant. As is so often the case, when you find a record it begs additional questions. Were Meredith and Rachel married on Valentine’s day or three days later? Marriage Confirmation – Meredith Mannon [Mannin] and Rachel Fugate. Memorandum of Marriages Confirmed by me in Bath County in year 1825. Meredith Mannon & Rachel Fugate on the 14th Feb…. The legibility of the “Marriage Confirmed” date leaves something of a question. It is unclear in my mind if the date is the 14th or the 17th. Both dates make sense. There are no other 7s on this page to compare his 7s against his 4s. Meredith and Rachel’s father, Reuben Fugate, signed a bond assuring Meredith and Rachel were able to marry. That they married on the same day makes sense, unless there was a waiting period. If Kentucky had a marriage waiting period in 1825 then their marriage three days later, on the 17th makes more sense. I have decided to go with the 14th because Kentucky does not currently require a waiting period. I’ve tried to find Kentucky Laws in 1825, but have been unsuccessful. If anyone has a source for me to check, that would be a great help. If Kentucky had a waiting period in 1825, then Meredith and Rachel had to have been married on 17 February 1825. [ii] “Kentucky, County Marriages, 1797-1954,” database with images, FamilySearch (https://familysearch.org/ark:/61903/1:1:V5ZH-L12 : accessed 16 September 2018), Meredith Mannon and Rachel Fugate, 14 Feb 1825; citing Bath, Kentucky, United States, Madison County Courthouse, Richmond; FHL microfilm 273,003. 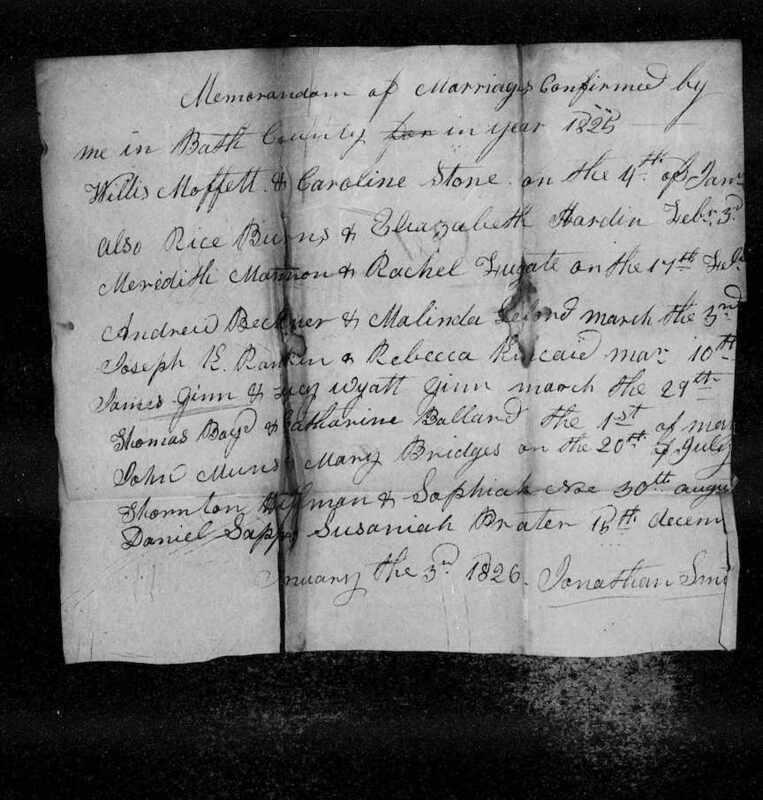 [iii] “Kentucky, County Marriages, 1797-1954,” database with images, FamilySearch (https://familysearch.org/ark:/61903/1:1:V5ZZ-J2T : accessed 16 September 2018), Meredith Mannon and Rachel Fugate, 14 Feb 1825; citing Bath, Kentucky, United States, Madison County Courthouse, Richmond; FHL microfilm 273,007. This week, for “Transcription Tuesday,” I continue looking at the Probate Record for Ezra Sanford of Bennington County, Vermont[i], who died in 1813. The “Sales Papers” consisted of a cover page and two handwritten pages. The cover page indicated that this was the “Division of Ezra Sanford Estate. Recorded Book 5th Page 234 to 237 by Jona E Robinson, Register.” It also indicates that it was received, examined, allowed and ordered to be recorded on October 4th, 1813.
on the West Line of ?? Road to the ??? began at. Paragraphs above are mine for my clarity, not the original writer. Ezra Sanford left a large estate, many parcels of land and over $1000 in cash. Lucy Sanford inherited two pieces of land. Ezra, Electa, Sally, and Lucy all received money. I noted: Electa did not sign the division agreement. Mercy, Sally, Lucy, and Ezra were all living on 20 Sep 1813. NOTE: The Cambridge Dictionary defines “transcribe” as to “make a complete written record of spoken or written words.” My transcriptions are seldom perfect but I do my best to convert handwritten documents into typed words for my genealogical purposes. If you see anything that I have incorrect or can interpret the words I have ? ?ed, please let me know your thoughts via the Contact Form at the bottom of the page. [i] Ancestry.com. Vermont, Wills and Probate Records, 1749-1999 [database on-line]. Provo, UT, USA: Ancestry.com Operations, Inc., 2015. Vermont, Bennington County, Bennington District, Probate Records; Author: Vermont. Probate Court (Bennington District); Probate Place: Bennington, Vermont – Entry for Ezra Sanford Probate – Page 16 (00404).